Home » art , art-I-made , contests/prompts , Kadzilla , world-affairs » Mera Bharat Mahan !!! 'Ye desh hai vir jawaanon kaa, albelon kaa mastaanon kaa Is desh kaa yaaron Hoye!! Is desh kaa yaaron kyaa kahanaa, Ye desh hai duniyaa kaa gahanaa'. BlogAdda, in its latest contest for Bloggers, “Proud to be an Indian” (http://blog.blogadda.com/2010/08/04/mera-bharat-mahan-india-shining-proud), asks us if we can still rightly sing this passion-inspiring composition of 1957. Standing at the threshold of our 64th year of Independence, does this song still evoke the same patriotic feeling? 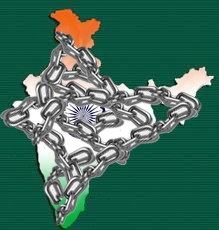 Do we still feel - 'Mera Bharat Mahan'? Passports, IT Refunds, or any other work from a government department, still requires payment of adequate bribes first. Judiciary system is practically non-existent in the country! Inter-caste/inter-religion marriages are still a taboo in most sections of our country. Female infanticide is still being practiced, even by well-educated families. We are still forbidden to enter any places of worship during our menstrual periods. In fact, a lot of families still forbid us to enter our own kitchen during those days… treating us like some sort of untouchables! Domestic responsibilities are still imposed on us from a very young age. For example, if guests come over, parents will still ask their daughters to bring water /make tea for them, even if they have a son who is elder than her, or even if she is studying for her Math test the next day and he is just playing NFS on his PC! Weaker sections of the society (such as our domestic help) still send only the male children to school, while the girls either take care of the house or start working at a very early age with their mothers. Don’t really need to say much on this topic, as Aamir Khan has already covered a lot in his recent movies – Taare Zameen Par and 3 Idiots. But, the current education system in India is actually stifling the creativity of children, by laying so much stress on high marks. As a friend rightly said long ago – "Indians are busy churning out a bunch of left-brainers"! As just a human being in India? The peer pressure, the rat race, the need-to-buy-a-plasma-TV-because-XYZ-also-has-one! The inhumanly long working hours in MNCs, the 6-day work culture! Apparently, we still don't have much freedom! We are still very much bound by the chains of our own social systems and our regressive mindsets! Thankfully though, the Wheels of Change are in motion. Slowly, but, surely, we Indians are heading towards growth and development. TV shows like SaReGaMaPa, Dance India Dance, and India’s Got Talent, which promote creative professions. Healthier advertising, like Surf Excel’s “Daag achche hain” campaign, promoting more humanitarian aspects of sharing and bonding! And at an individual level, we see more and more Indians speaking up for their rights now, through various mediums on the internet, including blogging. Females constitute a much larger percentage of the Indian Workforce now than say just ten years ago. Entrepreneurs are coming up, even young ones in the age group of 16-25. 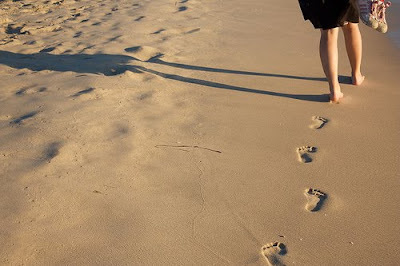 All these are just a few of the countless small steps taken towards the right direction. How to Be a Change Maker? Yes, this nation is still the home of powerful youth, slightly eccentric and definitely weird! But, we need to channel our combined strength towards causes more worthwhile than getting our National Flag in a virtual farm! In our own small ways, we all can be a change maker and lead India towards a future as glorious as its past! By speaking up for ourselves, speaking up against wrong, by exploring and expressing our creativity, and encouraging others to do the same, and by letting everyone, especially kids, be who they really are, we can all pave the way towards a truly independent India! We’ll see India shining proud! I have taken one step forward towards creating this reality. Now it’s your turn. I'd been procrastinating on this post for quite some time now. And then BlogAdda's contest gave me a common thread to link up all these issues. a friend started this. check it out. we're usually to self conscious about being patriotic, i like the fact that she tarted this. and u write this post : ) you go girl. Now... There you gave me something to finish up a few of my pending posts ! By the way, I still continue to bring water/refreshments/tea (not making tea, though, something which I'll never learn to do !!! :D) to guests whenever I'm at home even at my age ! Do chk out the ezine also! We are not yet there where we could feel proud to be an Indian. Proud? for what? for all the poverty, corruption, tooth& Nail for caste & religion? But we are there. But it hurts to see ourselves competing with snails. We still dont have the balls to come out and start a business. We havent created a brand which could compete with the ones we see advertised in London or Paris. We have No Sansung or LG, Just a Tata or a Wipro? We still like the comfort of an AC office. I wish i succeed as an Entrepreneur soon one day. Nice post, summed up pretty much what most Indians feel. Thanks ZB. I think maybe if we stop feeling bad about NOT being a part of the developed world yet, and instead, accept it with grace that we still hv a long way to go, then maybe we'll look forward to it as a welcome destination, rather than with resentment (???) As they say, acceptance of shortcomings is the first prerequisite for any change. hmmm... SWEET blog..nicely written..but the "CHANGE" that you suggested..are they worthy enough to proudly say.."MERA BHAARAT MAHAAN"..in a place where corruption is soaring like anything..poor are suffering..farmers are ranting..and hey..trust me..there is noone who listens to what they say..their voices go unheard.. CONDITION OF WOMEN..well I would rather not say anything regarding that..I just finished an article regarding honor killing..(I am not discussing other things..coz otherwise my comment will exceed your blog size)!!.. and about more and more INDIANS speaking up..well, how many of those INDIANS are the sufferers..and most importantly..what the hell we can do by speaking up..when administration has deaf ears..! !..well I want to proudly say it..but..
And yes, CHANGE comes from within. Every drop makes a difference. And if we don't BELIEVE in our glorious nation, then we'll never really strive to create the reality we believe in. For example, if we don't believe in our ability to be rich, we can never possibly be rich. Vision is important, then comes the action. Hey Kaddu! great thought, very well put across consolidating major issues. I would add that Govt's mid day meal scheme, right for education ie free education till i think primary level and certain property rights for women are favourable step. Also, India has now the Right to Information, that has changed the way govt works. now they are more accountable. so we are on the right path! @ Restless: Oh yes, I totally forgot to mention those schemes. And they are also giving free bicycles to female students here, don't know if it's national level or just state level. But it has started working in some areas. In fact, we recently got to hear from the staff of my uncle's shop - even the children are refusing to go to work now! They prefer going to school instead! Let us bring a change..
Hi Sadiya! Thanks for dropping by! And about the bribe part, well I have factual data to support my claim. But obviously, this isn't the right place to disclose it. As per my knowledge (and this has been confirmed by a couple of Chartered Accountants, and a few other people who work in the said IT dept here) the official rates are 10% of the amount of refund claimed. But if due to your bad luck or some other unforeseen incident (e.g. the relocation of the IT office in your city, in which case all the files will be misplaced and of course, you'll be asked to bear the penalty!) you can end up paying as much as 25%, even 50% of the amount of refund claimed! A few years ago, this rate was a flat Rs. 5,000 per file for personal returns. Even if you had a refund of just like to claim. Thankfully, with online systems now, this rate has at least gone down to 10%! @Sadiya: A typo - "Even if you had a refund of just like 6,000 to claim." 1- As according to the law (u/s. 244A of IT Act if you wish to refer), you do not even NEED to 'claim' refund on ur return (filing ur return on or before due date itself suffices). 3- All refund cases are attended to latest 12 months from the date of refund falling due (u cn refer to written statement by FM of State- Tamil Nadu to Parliament on 9 Mar'10)...dats the Statutory Time Limit. Not a single case to my knowledge of over 200* 4yrs is yet to recieve refund. 4- (and the last...Thnk God)- The instance ur pointing to (as in a bribe) is only in case where the return itself wasn't filed on time (taxpayer's fault) or in case the taxpayer wishes to speed up the refund process. The govt even pays 0.5% interest p.m fr delay beyond 6 months. Its us who cant wait fr a yr or less.... so pls dont make it look like its the system's/govt's fault. I know the govt is wrong on many counts but u need to giv credit whr its due. If there is any odr reason fr bribe as pertains to refund and u r in d rite (no reassessment applies), i reckon u file an appeal (more so since the post itself is abt being a responsible indian). As you'll know from that post, we are aware of the last date of filing our returns. Regarding the refunds pending for 3 years, as mentioned in that post... we in fact had to pay twice for 2 of those files. Once originally at the old rate of 5,000 per file (and both returns had been submitted on time), and then again after 3 years, when nothing seemed to be happening of it, even after re-submitting copies of already filed & stamped returns, with required applications! The second time was at the rate of 2,500 per file though. We eventually got the refunds, but without any interest. Oh and btw, the new returns that I've mentioned in that post ("We are about to file the Returns for one more year now... July 31st being the last day to do so")... we still haven't got that refund. You can check the year from the date of that post, and you can calculate how long it has been overdue. And yes, I will definitely give credit where it is due, WHEN it gets due. rite! read that post and read this comment (lady, this is taking up most of my day!...its fun though)....yeah so after all dat wat do i say? Lol! to think i was such a fool n show so much confidence in my govt!!! Aaah! I'm honestly surprised this happens! happened to u! Blah! m a picture of self pity nw. Hey Sadiya, sorry couldn't reply to this yesterday, got caught up in stuff. Actually, the thing is that change is happening in our country, but at a slow speed. And Income Tax & Judiciary System, these are 2 very powerful departments, that can really make life hell for you if you get on their wrong side! 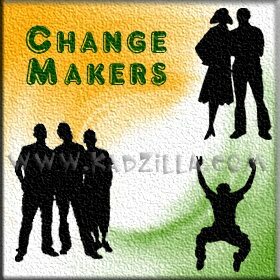 Hey do check out the eZine for Indians: http://lounge.kadzilla.com. Perhaps you could do some short series on our IT Laws, as applicable to personal returns (especially the heads salary & other sources) that might create more awareness about it in the general public. Also, the various sections in which we can claim exemptions/rebates etc. Or any tips regarding tax saving schemes. Would really be useful, 'coz majority of the general public has no clue about all these things.